While on a trade mission to Poland, Nevada Governor Brian Sandoval gave one of our belt buckles to Andrzej Duda, the President of Poland. Medallic Art & Mint in the words of its employees. Learn how our company has been transformed and evolved under the leadership of CEO Bill Atalla. Medallic Art in the news! ABC affiliate KOLO8 News features Medallic Art Company in their “Made In Nevada” series. The segment illustrates the step by step process of making a medal and features interviews with our CEO Bill Atalla as well as recipients of the awards. Our medal experts are here to guide you through every phase of producing your own medal. Since 1903 thousands of companies, associations and educational institutions have chosen Medalcraft Mint to commemorate their most important events. We are the global leader in our industry, merging old-world artistry with the latest, state-of-the-art technology. We have been privileged to design and mint some of the most important medals and awards in the United States and the world. The Medalcraft Mint is a proud US manufacturer. Our company produces thousands of different products each year, in our own factory in Green Bay, Wisconsin, employing talented craftsmen. 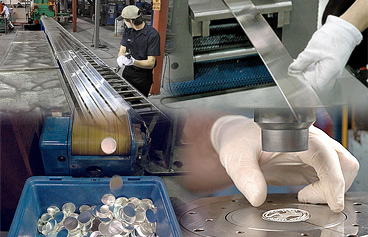 As an American-owned and operated company, headquartered in Green Bay, WI, Medalcraft Mint employs American workers who make every product they mint with "Made in the USA" values and quality. Our expert sculptors and die-makers assure that every subtlety of the original artwork is captured in precision tooling. The finest materials and workmanship are combined to create an elegant work of art that establishes an enduring legacy for your institution. 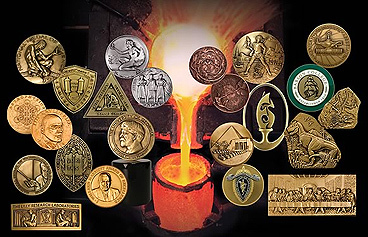 Our craftspeople work with you on every detail to help you create a medal that is unique and special to your organization. 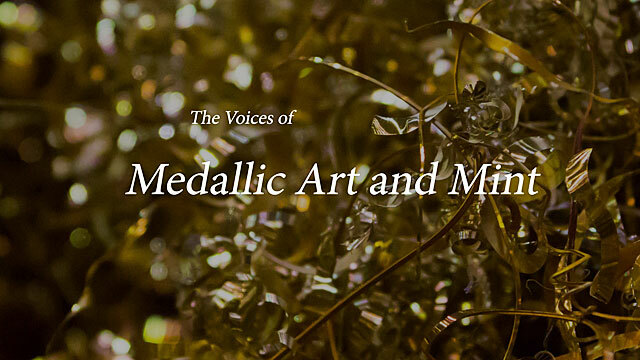 If you can imagine it, Medallic Art's artisans can create it. Nevada Governor Brian Sandoval visited Medallic Art Company in Dayton, Nevada on January 14. During the tour, he pushed the buttons of a 600-ton press and struck two Global War on Terrorism medals. The governor said the success of companies like Medallic Art encourages him about the future of Nevada. The Assemblywoman, on a tour of Nevada manufacturing facilities, spent 2 hours touring the factory and learned how medals, coins, maces, chains of office and pocket knives are made. During the tour, she pushed the buttons of a 600-ton press. Assemblywoman Bustamante-Adams, a member of the Economic Development Council of Nevada, was impressed by the manufacturing capabilities of Medallic Art and said the growth of Nevada depends on the local manufacturers like Medallic Art. Medallic Art Company is proud to announce that the Society of Motion Picture and Television Engineers (SMPTE) has earned its third Oscar. SMPTE has been one of Medallic Art’s most prestigious clients since 1991.